It’s that time of year again… come hang with us in Austin during SXSW! 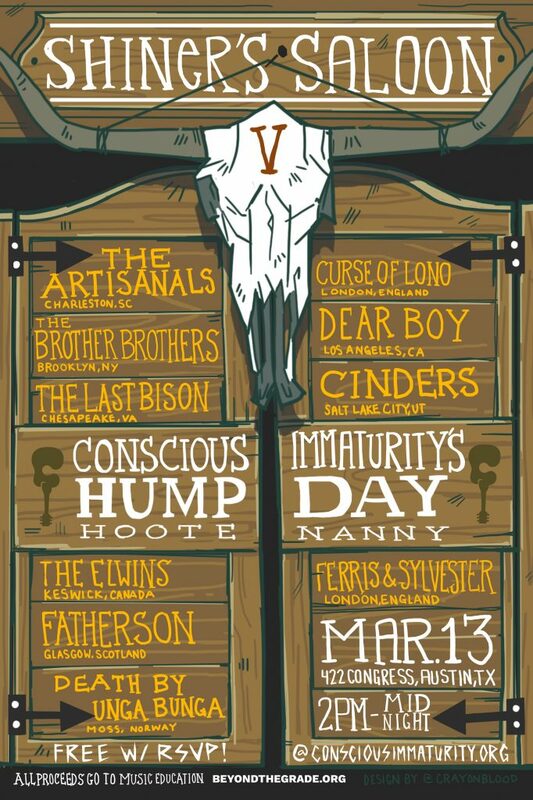 Check our facebook, twitter, and instagram for updates, check below for the full lineups and links to bands. RSVP to get on the list, and hope to see y’all in Austin!!! 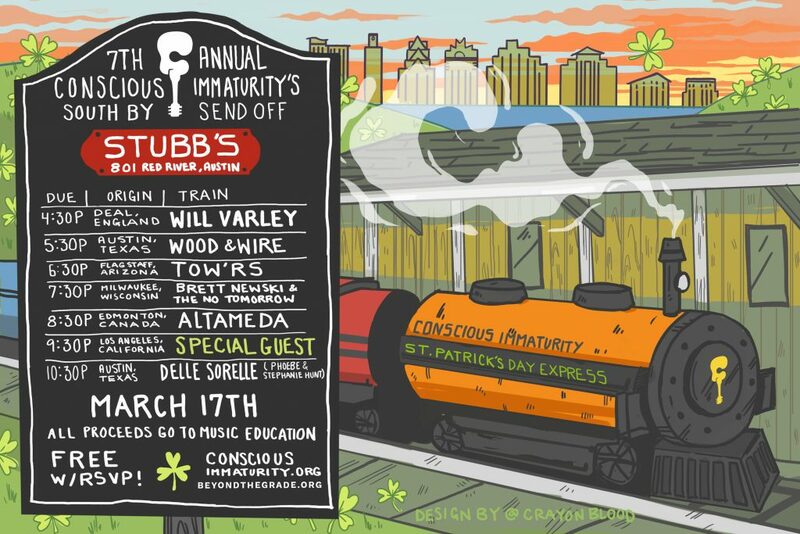 We’re back at Stubb’s for the St. Patty’s day version of our Sunday SX Sendoff! We’re really excited to be back for lucky year seven and celebrate St. Patrick’s Day with y’all at Stubb’s!!! We’re back for our 5th Annual Humpday Hootenanny at Shiner’s Saloon on 3/13!